The Parent Life ministry was established in Lubbock in September of 2007. 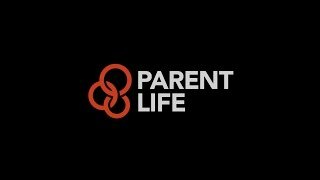 Area Director, Renee Morales, started the Parent Life ministry in Lubbock after learning of the extremely high teen pregnancy rate in the area. Statistics say the younger a parent is and the less resources available to them, the higher the likelihood of abuse and neglect occurring. God placed a strong desire in Renee's heart to reach out to these young moms and dads with support, encouragement, education, resources and most of all, the unconditional love of God. She became a strong advocate for the idea that being pro-life meant more than asking a girl to choose life for her baby. Rather, it meant that if that girl chose to give birth to her baby, then she would need a community of people to stand beside her and guide her as she raised that baby. Parent Life Lubbock started with 5 teen moms at our first meeting in 2007. Since then, hundreds of teen moms and dads and their children have found hope, love, grace, and a place to start over by walking through our doors. Parent Life has become a second home to our young families. The Parent Life ministry's holistic approach allows staff and volunteers to work towards meeting the physical, emotional and spiritual needs of teen parents and their children.